As today’s consumers prefer furniture that are easy to move and accessible, modular design is now in demand. The stool showcases clean aesthetic at its best the bent tubular steel frame paired with an oak wood seat is held together with just one bolt. With its carefully designed frame, multiple The stools can be stacked together when not in use to reduce unnecessary clutter. 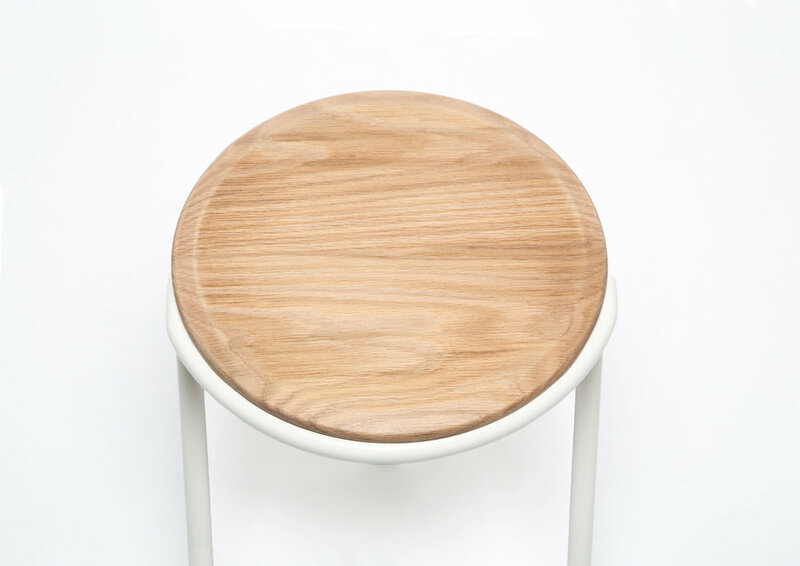 This minimalistic stool is visually lightweight and airy, making it suitable for virtually any environment. 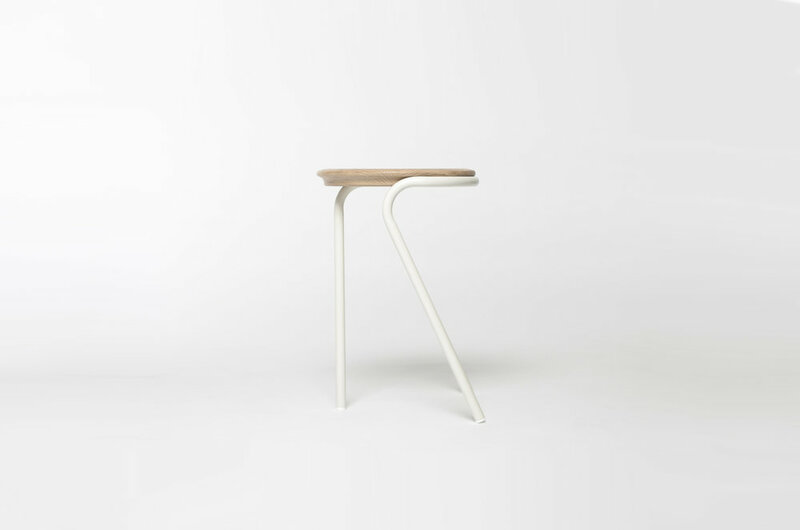 Furthermore, The stool provide a sense of playfulness, people can see a different number of legs from different perspectives, It still can stand even if it has only one leg or two legs. Coyright © 2015-2018 GUAN XIANG.